Elliotts are specialist engineering suppliers with expert staff with unrivalled product knowledge and industry experience. We stock, supply and install a wide range of heaters. There are obviously an enormous number of heaters for a huge variety of applications and we can help you select the heater to suit your budget, business needs and the scale of your premises. 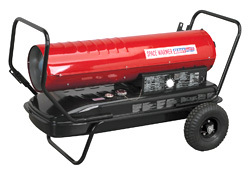 We supply heaters for hobby, commercial and industrial use. Our expert staff will give you the best advice and we guarantee to give you the best price in the UK for the heater you need.